We pride ourselves in making your stay an enjoyable and memorable experience. 1 Queen, and 1 single divan Full facility kitchen Ensuite with shower upstairs Spacious and stylish. It is idea for multiple nights stay travellers. Standard studio has 1 queen bed, table with 2 chairs. 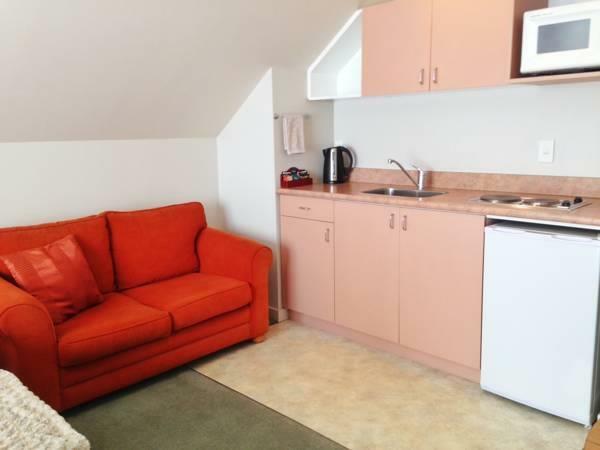 Kitchen facilities include 2 hotplates,microwave, fridge, toaster, jug and plunger coffee. Bathroom with shower, toliet & hairdryer. Sky TV, DVD player, radio and telephone. Free daily paper and car parking. Cooked and continental breakfasts available and delivered to unit. These 1 b/r units have either king/queen bed in the bedroom and single bed plus double divan in the lounge. Kitchen facilities include 2 hotplates, microwave, toaster, jug and coffee plunger. Bathroom facilities in access unit includes a wetfloor shower, toilet and hairdryer. 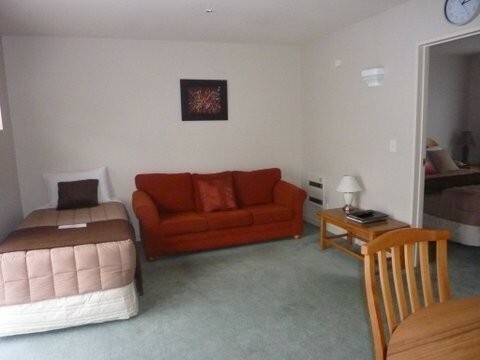 The other unit has a spa bath ($10 extra) with shower over bath , toilet and hairdryer. Sky TV ,DVD player and radio. Free daily paper and carparking. Cooked /continental breakfasts are available and delivered to your unit. These 1 B/r units have queen bed in the bedroom and single bed with double divan in the lounge. Limited kitchen facilities include microwave, toaster, jug and coffee plunger. The bathroom facilities include shower, toilet and hairdryer. Sky TV, DVD player and radio. Free daily paper and car parking. Cooked and continental breakfasts are available and delivered to your unit. Both units are on the first level. he 2 bedroom units have either king or queen bed in the master bedroom and two single beds in the second bedroom. There is also a double divan in the lounge which allows maximum 6 people. The bathroom and kitchen are both accessed off the lounge. The bathroom has a spa bath with shower over in one unit, bath with shower over in the second unit and a wetfloor shower in the access unit. All units have a kitchen with microwave. 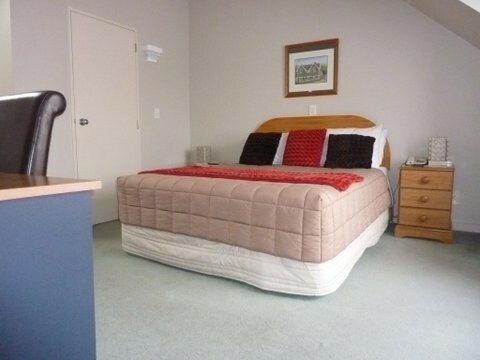 fridge, toaster ,jug and there is plunger coffee on arrival which is replenished each day when unit serviced.Writing desk in each unit and also DDI or wireless internet.